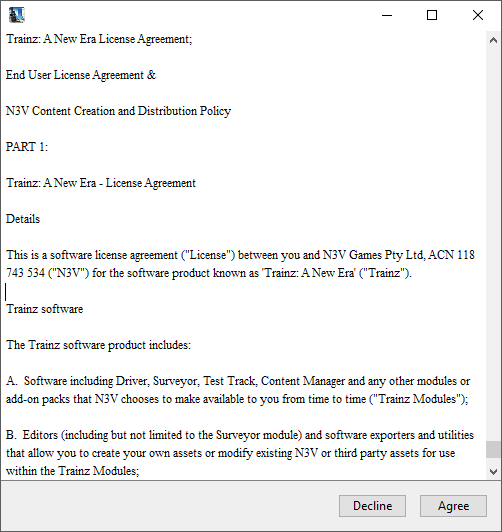 This article provides a step by step guide to installing TANE SP2 "Platinum Edition" using the DVD installer. 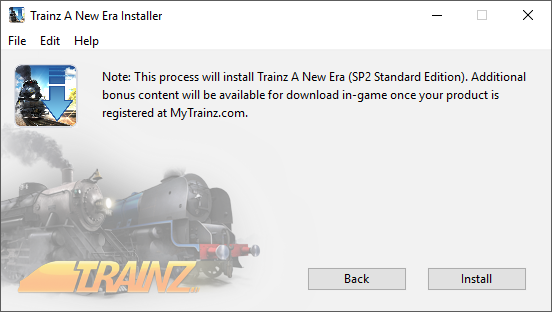 NOTE: This process installs TANE Standard Edition version and then your DLC is downloaded in-game after registering your Product Key via MyTrainz. The default location is as shown above. If you're happy with the default location for your installation, click Next. Otherwise change the name to a folder name that doesn't exist. 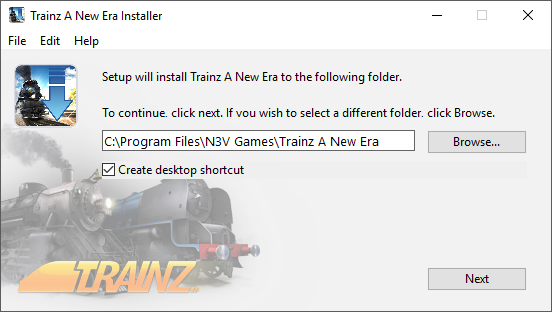 NOTE: If this folder already exists, your install will show the following warning. We recommend that you click Cancel and then change the name (e.g. 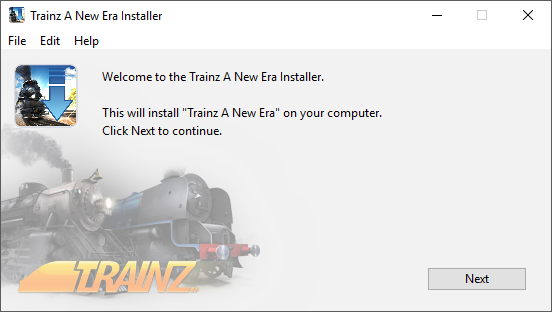 to Trainz A New Era Platinum) then click Next. When you see the screen below, click Install to begin copying the installation files to your harddrive. This step checks the data file on the Disc. 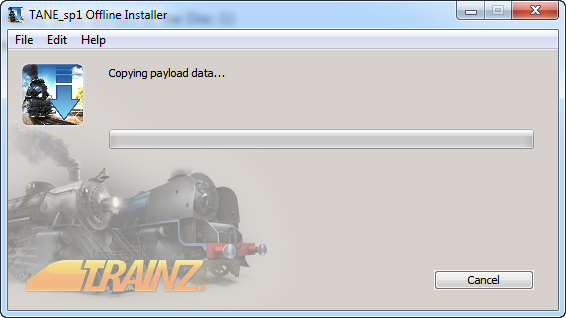 The Installer will then continue copying the data to your harddrive, then show "Installing" and finally "Install Complete". When complete, the following window will appear. 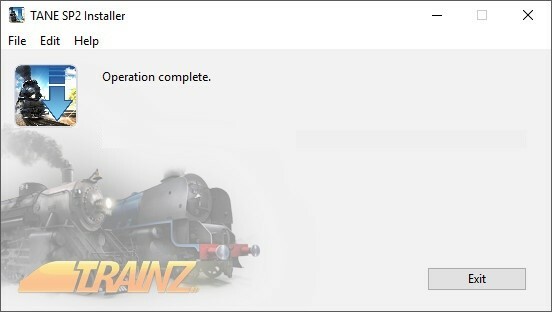 You're now ready to follow the Registration guide to register Trainz and unlock your bonus DLC content. 1. "Path not viable: Filepath already exists"
This error indicates you are trying to install TANE SP1 into a folder that already contains an installation. Please create a new folder for this installation of TANE. 2. "Patch Failed: failed to copy source data to: "
Ensure that you inserted Disc 2 and selected the correct file (patch-2.bin) then clicked Next to continue copying data off the install disks.